Tag Archive | "Metro Health Hospital"
Margaret G. Eldred 98 of Cedar Springs, passed safely into Jesus’ arms Monday, December 26, 2016 at Metro Health Hospital. 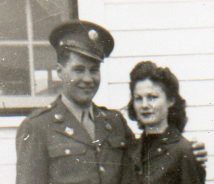 Mrs. Eldred was born March 19, 1918 in Cedar Springs, Michigan the daughter of Howard and Muriel (Ferguson) French. 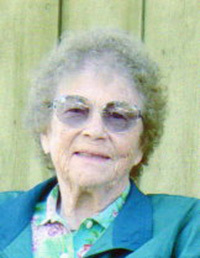 During her life she had enjoyed horseback riding, hunting, ice fishing, gardening, mushroom hunting and agate picking. She was a lifelong member of the Free Methodist Church and was a loving and caring mother and grandmother. Surviving are her daughters, Tanya Eldred and Terri Matz; grandchildren and the light of her life, Riley Keith and Lucina Margaret; brother, Merlyn (SangKi) French; sister-in-law, Wilma Eldred; many nieces and nephews; special friends, Patricia Patin and Leah Sims Battle. She was preceded in death by her husband, Keith in 1997 and a brother, Kenneth French. A private family service will take place at the Bliss-Witters & Pike Funeral Home, Cedar Springs. Interment Solon Township Cemetery. Pastor Wayne Cash officiating. A memorial service will be announced in the summer. Memorial contributions may be made to St. Joseph Indian School or Cedar Christian Academy. Jerry L. Elder, 72, of Newaygo, died Monday, May 16, 2016 at Metro Health Hospital. Jerry was born May 7, 1944 in Cedar Springs, Michigan, the son of Cecil and Virginia (Hanna) Elder. He served in the U.S. Marine Corp during the Vietnam War. He owned and operated Elder Forest Products since 1981. He was an avid outdoorsman and enjoyed hunting and fishing. He loved his work at the sawmill and most importantly the numerous family gatherings with his children and grandchildren. Surviving are his wife of 53 years, Darlene (Wert); children, Chad (Melody) Elder, Tammy (Brian) Hills, Gerry Aley; 8 grandchildren; 3 great-grandchildren; mother, Virginia Fisher; sister, Judy (Dan) Sturgeon; several nieces and nephews. He was preceded in death by a son, Maurice Dean; brothers, Jack and Ralph. The family will greet friends Thursday from 2-4 and 6-8 pm at the Bliss-Witters & Pike Funeral Home, Cedar Springs where the service will be held Friday 2:00 pm. Pastor Chuck Smith officiating. Interment with military honors at Solon Township Cemetery. Memorial contributions may be made to Metro Health Hospital or the Friends of the Michigan Veterans Home.